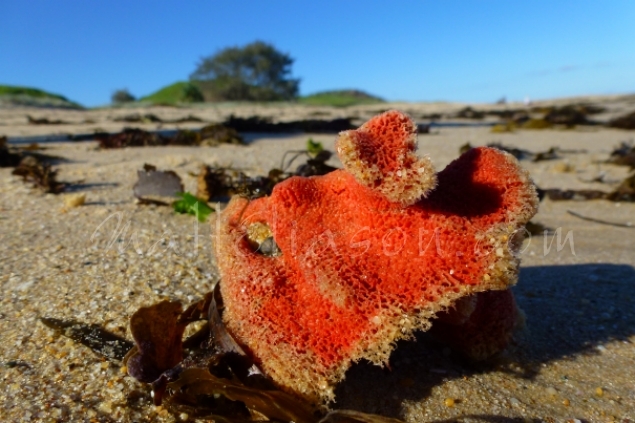 A colourful orange sponge, cast ashore on a beach on the Mid-North coast of NSW, Australia, by a strong sea. Laying abandoned and dying….colour seeping from its outer edges. Through observation of the small things we can marvel at the intricacies of nature. If you own a coastal home and have need for a strong art to lift a dark place or print larger with a generous frame to make a bold statement in any room. This image is 24×16 inches, but will print smaller just fine. $10 for private use only. This photo is available for sale as a digital download without watermark, ready to print. If you wish to purchase a professionally framed print or a canvas of this image. Please contact me. Posted in Close-up, Foreshore and tagged close-up, foreshore.